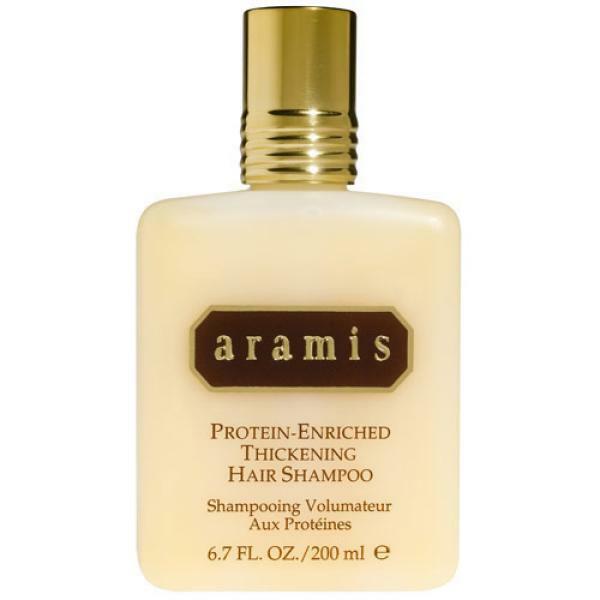 The Aramis Classic Protein Enriched Thickening Shampoo has been specially formulated to give fullness and thickness to fine or thinning hair. Enriched with strengthening and repairing proteins, the shampoo forms a rich lather to deeply cleanse your hair, whilst the masculine fragrance which incorporates notes of bergamot, citrus and sandalwood will linger in your locks to leave your hair smelling irresistible. - L.M. I was simply amazed at how good the Classic Protein Enriched Thickening Shampoo 200ml is. My wife chooses to use it also. A quality product at a fair price.It really feels like proper shampoo when you wash with it.I have been using this product for years and nothing else is quite as good.